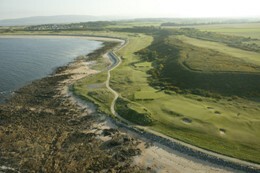 At Royal Dornoch, both courses are open to the public 7 days a week. We would advise reserving tee times in advance to avoid disappointment. 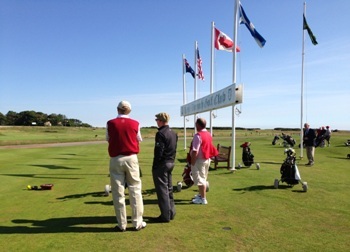 As a playing visitor, you are welcome to use the clubhouse and all its facilities, including lockers, showers and drying facilities in addition to the bar and dining, ensuring you make the most of your Royal Dornoch Experience. Caddie £50 plus discretionary gratuity. Caddies allocated but not required on the day will incur the full caddie fee. Only available for medical reasons. A medical certificate and driving license are required. Reserve through the Office prior to arrival at a cost of £35 per round. Requests should be made through the Office. Complimentary use of our practice facility is available to everyone prior to their tee time. We have Driving Nets, short game and practice putting green beside the Clubhouse and at our practice Ground we have covered bays. Golf balls are not supplied.